Of the new books presented in this issue one is a record of conversations between Sri Aurobindo and Pavitra (the Frenchman Philippe Barbier Saint Hilaire) which took place more than eighty years ago. Another is a modern look at Sri Aurobindo's perspective on human motivation within the context of other theoretical perspectives in the field of psychology. The Quest for Knowledge and Mastery, which began as Martha Orton's doctoral dissertation in the field of Integral Yoga Psychology at Sri Aurobindo Darshan: The University of Tomorrow, is a study of Sri Aurobindo's writings concentrated on revealing what Orton, a psychotherapist who has studied Sri Aurobindo's writings over many years, terms his “well-developed, original, and profound theory of motivation”. She approaches her subject with the acknowledgement that Sri Aurobindo's theory of motivation is not presented as a theory in the ordinary sense of the word, as a speculative position to be investigated, tested, or proved through intellectual analysis or empirical research, but is an expression of a spiritual knowledge and consciousness achieved through the process of inner experience and realisation. 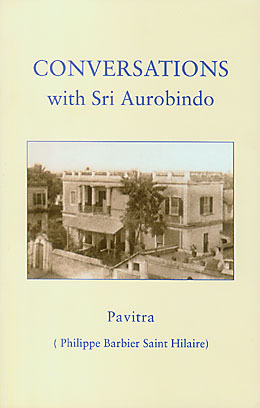 Using as source material the considerable body of Sri Aurobindo's writings on consciousness, especially in The Life Divine and The Synthesis of Yoga, she presents a detailed examination of his perspective on human motivation and shows its relation to other aspects of his vision and to other theories as established in several branches of psychological thought. 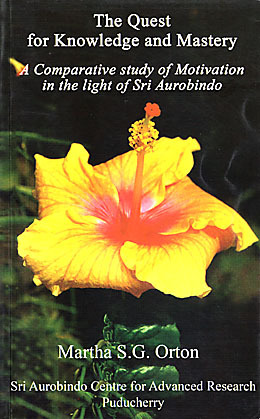 This approach may well encourage other professionals in the field of psychology to take up themes for similar studies, leading modern practitioners in this rapidly changing science to discover a revelatory panorama of psychological insight and knowledge, and an extensive “view of consciousness and human potential for growth, spiritual realisation, and transformation” in the writings of Sri Aurobindo. These last few days have not brought much progress, for my mind was extremely distracted and disturbed by different mental pursuits. Everything has settled down now, but I don't see very clearly what I ought to do. My mind is divided into two parts. The first part, which uses language and reasons and formulates, is the part that falls silent. But a certain attention is necessary to prevent untimely thoughts from arising through the throat and disturbing this peace. The other part is attentive, its special function being the vision of inner images; its centre is the Ajna. This part has been inactive so far, but even so it is not always still; it is centred here and there and does not know what to do. Thoughts, in fact, have their origin in the solar plexus; then they rise up through the throat and invade the brain, where they become conscious. The still mind has no definite localisation; it is a matter of habit. For the moment you are localising it in the brain, but its true seat, which corresponds to the higher mental truth, is the Sahasrara. Above, this consciousness itself will spread out and become the cosmic consciousness. There are two different points to consider. The first is to empty the active mind of thoughts and leave it motionless. This is a useful capacity. The second is to remain completely detached from the thoughts that may arise in this active mind. Later you will see the thoughts being formulated there, not rising from below but coming from the surroundings or from above. And you will have to learn to recognise the Truth. So you must learn to regard these thoughts as external objects, never allowing yourself to get carried away. Besides, from now on, while keeping the lower mind still, you may “look above” in order to gradually centre your consciousness there. From December 1925 to November 1926 Philippe Barbier Saint Hilaire, later known as Pavitra, held regular private conversations with Sri Aurobindo that centred on the practice of Yoga and Pavitra’s own sadhana. This book is a record of these conversations and some he had with the Mother toward the end of that year. It also includes several of the evening talks, in which Sri Aurobindo conversed informally with a small group of disciples, on such subjects as science and occultism which especially interested Pavitra. The book’s introduction is a talk given in 1964 by Pavitra in which he recounts his early life experiences and the events which led him to come to Pondicherry. In Part One of this study the author presents one important aspect of human motivation gleaned from a detailed study of Sri Aurobindo's writings: that man is driven by an impulsion to seek the true knowledge and mastery of life; that this motivation originates from the hidden reality of a single spiritual Self that stands behind all the activities of mind, life, and body; and that to find the conditions under which this impulse can be fulfilled in all aspects of his being is the central problem of man's life. Part Two examines how Sri Aurobindo's view relates to other theoretical perspectives of motivation in different fields of human psychology, such as the psychoanalytic, social, personality, humanistic, and transpersonal psychologies. Publisher: Avadhani (Bhanabhai G. Patel) U. K.
This compilation offers a wide choice of extracts from some of the correspondences, interviews, and conversations that Sri Aurobindo and the Mother had with various sadhaks. The topics covered range from the importance of Sri Aurobindo’s Savitri, the nature of avatarhood, the right attitude in work, and the significance of dates with certain numerical combinations, to European and Indian music, wars and destruction, and India’s role in the world. The selections include material from A. B. Purani, Dyuman, Dilip Kumar Roy, K. M. Munshi, Udar Pinto, Nagin Doshi, Amal Kiran, Mona Sarkar, and others. Italian translation of How Do I Proceed? This book presents an outline of the scope, practice, and goal of the integral Yoga of Sri Aurobindo, stressing more of its practical side than its philosophical content. The author begins with the three basic processes of the Yoga: aspiration for the Divine, rejection of all contrary movements, and surrender of one's will to the Divine Will on each level of one's being. The next chapters deal with ways one may approach the Yoga, and the final chapter discusses the key role of the psychic being in the sadhana. 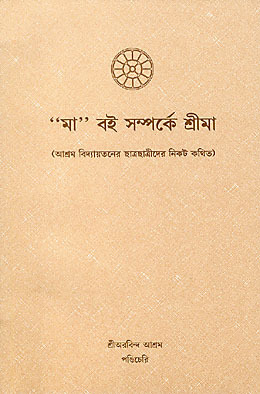 This book contains The Mother by Sri Aurobindo and the Mother's spoken comments on passages from that book, made during her evening classes at the Ashram Playground. For each chapter the first set of comments were given in 1951 and the second in 1954. These comments do not form a systematic commentary on Sri Aurobindo's work, but are rather explanations of certain passages, phrases, and words. The Mother usually began the class by reading out a passage from the book, then commented on it or invited questions from those gathered around her.